Your wedding is a reflection of your unique relationship and your individual personalities. It is important to me to get to know each couple prior to the wedding so that I can capture your wedding day in a style that is a reflection of the aesthetic and feeling of your wedding day. For samples of my wedding photography, click one of the thumbnails on this page to access select albums from the wedding gallery. For my most recent weddings, check out my facebook page. 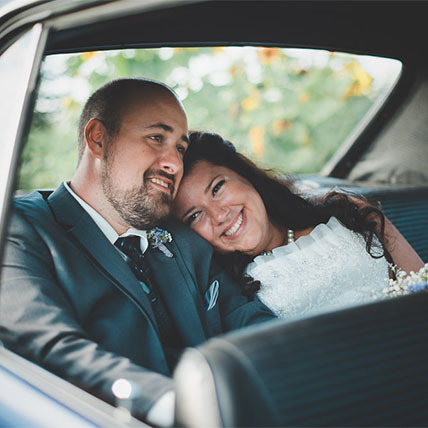 All of my 2019 and 2020 wedding packages include a number of individually post-processed, high-resolution, print-ready JPG files, delivered to you within a beautiful, interactive photo gallery. Your gallery is the easiest way for you to view and share your wedding photos with family and friends. This is also where you can easily download web-size and print-size image files, create a list of your favourites, place a print order or submit a selection of your favourite photos to be included in your PhotoBook design. Most packages also include a complimentary engagement session and a custom-designed PhotoBook: the perfect keepsake to remind you of all the special moments, details and emotions. Inquire today to see a list of wedding packages and book early to ensure your date is available. At booking, we will both sign a contract for our mutual protection and a booking fee will be required to hold your date. For more information about packages, pricing and available dates, please connect with me today. Please include possible dates, locations and any other important information. I recommend PhotoBooks to all of my clients because I believe they're the most beautiful and accessible way to keep, view and share your wedding photos. Your book layout will be professionally designed to display your photos in a sequence that effectively communicates the story of your wedding day, while only juxtaposing photos that complement each other. Your PhotoBook will be professionally printed and bound in a hard cover, with the cover material of your choice. Options include a variety of colours in linen and eco-leather, as well as black leather. Debossed text on the cover is also available as a finishing touch. 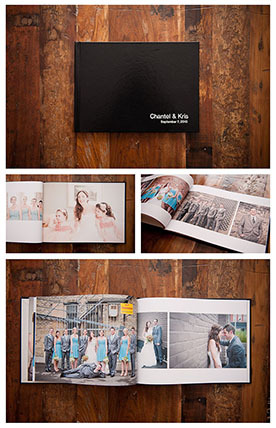 Wedding PhotoBooks come in two sizes: 8.5x11” and 11x14”. PhotoBooks can be added to any package and any package can be customized with the book size and page count of your choice. If you set up a meeting with me, I will gladly bring with me a sample PhotoBook for you to flip through. I always recommend engagement photos to my clients because it is the perfect practice run for those who are not totally comfortable in front of a camera (which, frankly, is most of us). After a short, fun hour of engagement photos, you’ll feel relaxed and comfortable in front of the camera and by the time your wedding day rolls around, your photos will all feel natural and look beautiful because you’ve had practice. Your engagement session also gives me an opportuntity to get to know you and your fiancé(e) a little bit better, which allows me to better create photos that more genuinely represent your personalities. Finally, you’ll get to know me and my working style, so that you will feel more comfortable with the whole process when we work together again on your wedding day. Most of my wedding packages include a complimentary 1-hour engagement session. Some couples love the idea of having a second photographer along for the wedding day. This will ensure that every moment of your wedding day is captured and that there are even more beautiful photos to choose from to create the perfect PhotoBook. The second photographer will be a highly skilled photographer, who will look and act in a polite and professional manner for the length of your wedding day. I quality control and post-process all of my second photographers images to create cohesiveness among your entire set of images. To complete your wedding needs, I also offer card designs for save the date cards and thank you cards. Your save the date cards could include a selection of your engagement photos and your thank you cards could include a selection of your wedding photos. You may order just a design, or for best results, order a custom number of cards with your design. I recommend 4x6” postcards, but other options are available. Hiring the right photographer is important. Before you book someone to capture some of the most important moments in your life, it's a great idea to hear from previous clients to make sure you're making a good investment.